*dear FBI, if you are monitoring the interwebs, I’m not a terrorist. That was just the plot point of The Monkey Wrench Gang. 1. The latest report from people in the know tells me that I may be closing on the house as early as February 4th. That’s next Friday. The Friday one week from today. Oh my god. 2. 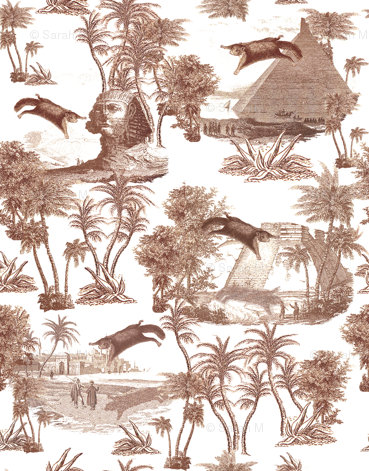 Look at this fabric that has flying squirrels and Sphinxes on it. What a shame I need to buy appliances instead of fabric. Do not let your fire go out, spark by irreplaceable spark in the hopeless swaps of the not-quite, the not-yet, and the not-at-all. Do not let the hero in your soul perish in lonely frustration for the life you deserved and have never been able to reach. The world you desire can be won. It exists, it is real, it is possible, it is yours. It makes even laundry days a little more soulful. Here is the dress I’d been working on since December, using fabric I’d had since August. I used a pattern I’d made twice before, so I thought I knew what to expect, but I’m not 100% pleased with this, for undefined reasons. Maybe because the fabric is some of the last fancy fabric I’ll be working with for a long time (hello, mortgage) and I expected more from it? Maybe because the print isn’t large enough to handle the big blank canvas of the dress? Or is it because the print is too busy for the plain silhouette? I just don’t know. I think I might take up the hem a few more inches and get some bright contrasting tights. Bright tights help everything. I woke up feeling cynical, so here is a picture of Toby. 1. Sorry, I put up a broken link to my Twitter stream yesterday (I just assumed it would re-direct to the non-signed-in page but I guess Twitter doesn’t do that). If you want to read 140-character inanities, here’s the right link. 2. Speaking of Twitter, Laura Ingalls Wilder is on it, too. If you follow my Twitter stream you will know that there was more lender drama yesterday, which made me nearly inarticulate with fury (all-caps shouting of “FOR THE LOVE OF GOD” was about all I could manage). But I went to see the house last night and if I can ever get in, I will like living there. Did I mention I have a basement? That comes already insulated? 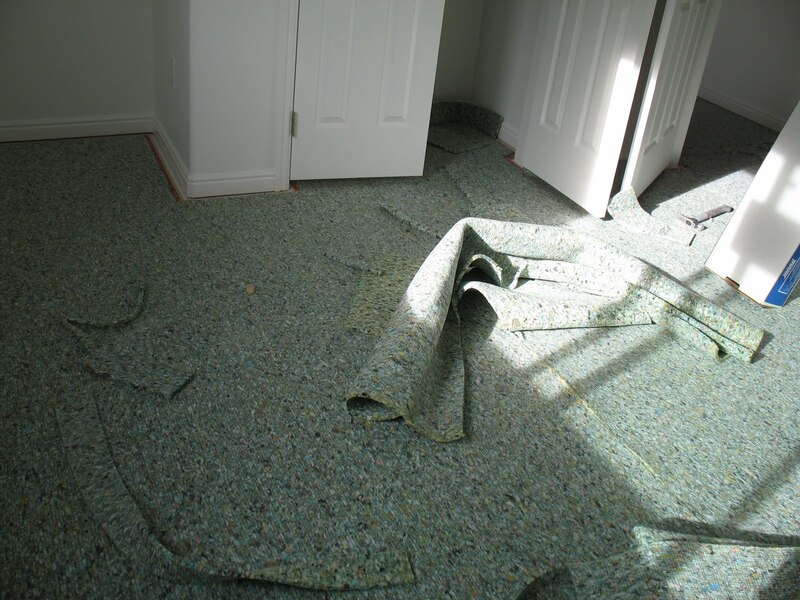 And that I think I picked the best beige carpeting option from the six other beiges offered? 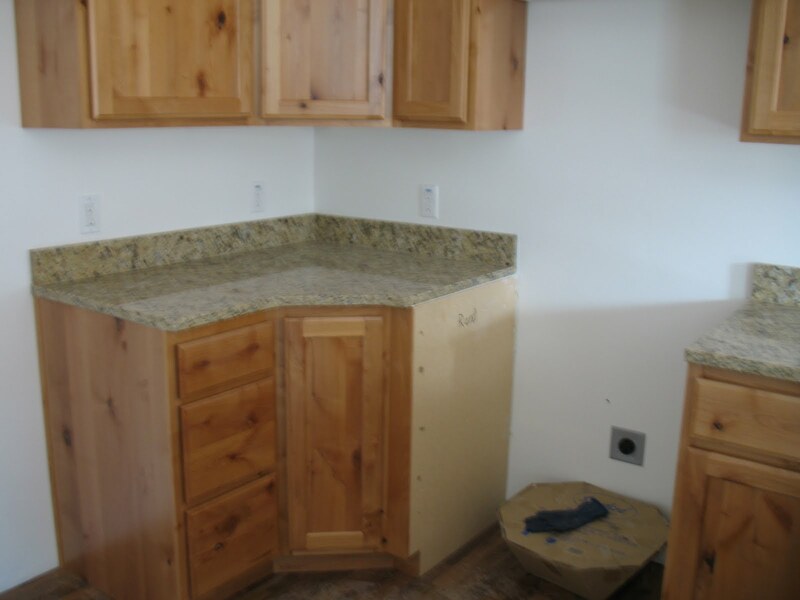 And that I have a place for a washer and a dryer? I think I will weep with joy when I do a load of laundry in my own house for the first time. Until then, I just hope I don’t weep. All House, All The Time! I didn’t want to turn the blog into “househousehousehouse,” but you know what? I’m buying a house! It’s exciting! So I’m going to blog about it. 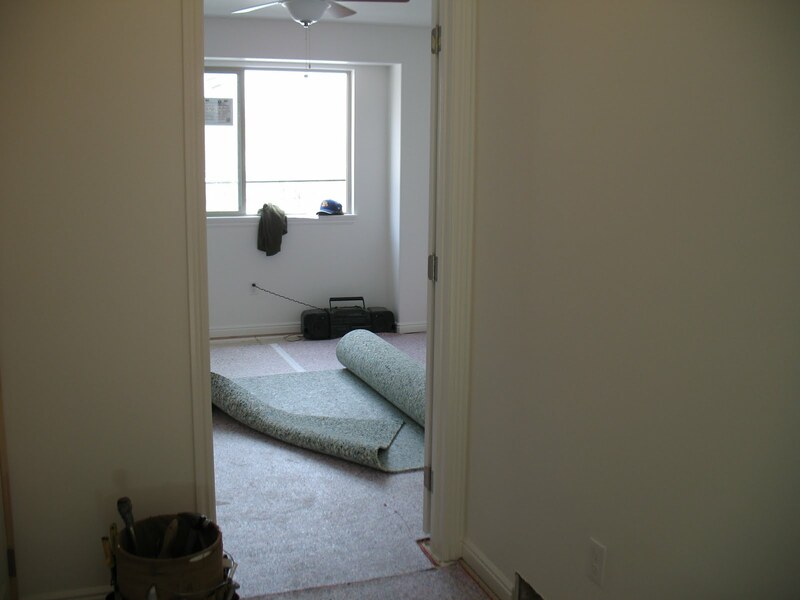 As of today, I know I have carpet, and I think I’ll have appliances. I alternate between excitement and dread–of the move, of last-minute impediments or expenses, of bouncing around in the big fancy new house like a rat in a can. It’s mostly excitement, though. Guess what? I’m still not done with the corduroy dress I’ve been working on since December. I only had to blind-hem it last night but the thought of finishing and then taking a picture at ten o’clock didn’t appeal to me. So I’m sorry, I know the project roundups have been a little lackluster. Just wait until my entire living space becomes a project.